Steeped in Victorian nuances with a salon style, Antebellum is a casual space for art and engaging conversation. Antebellum Gallery is intended as a hybrid of artistic, cultural, and political iconoclasm. 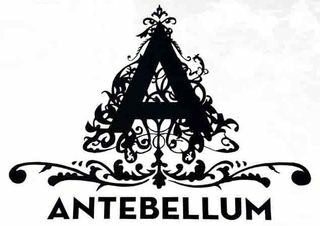 The term antebellum is latin for, “before war” and while it commonly refers to a more romantic Gone With the Wind era, we find ourselves again today with American culture at odds with political/religious/social agendas that threaten to blow the lid off its foundations at any given moment. RICK CASTRO is an independent curator, filmmaker and photographer working and living in Los Angeles his entire life.Castro explores the world of fetish and fringes of culture. His work has been published in artist editions, exhibitions and institutions worldwide. Rick co-directed and wrote the cult film Hustler White , (1996) and the documentary Plushies & Furries, (2001) for MTV.Castro’s photography is in the permanent collections of The Alfred Kinsey Institute and The Tom of Finland Foundation. His books and zines are archived at the UCLA library, and The Leather Museum in Chicago.Castro has photographed portraits of the Dalai Lama, (sipping tea) Gore Vidal, Peter Berlin, Alan Poul (producer-Six Feet Under & Tales of the City) and his longtime muse, Tony Ward.